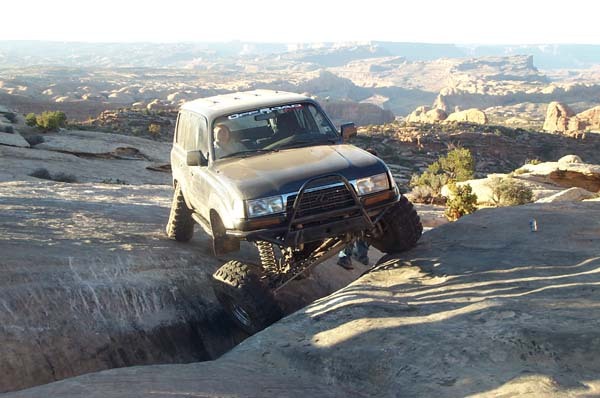 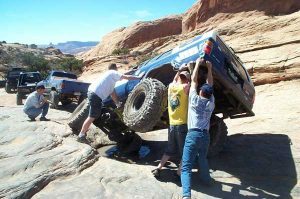 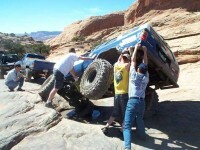 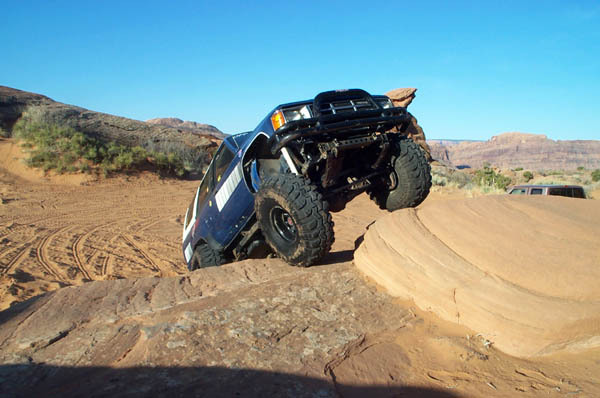 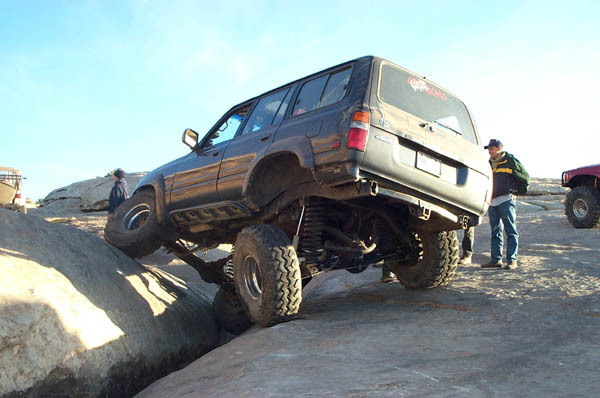 March 23th – 31th, 2002: This year’s Easter Jeep Safari brought huge crowds to Moab once again. 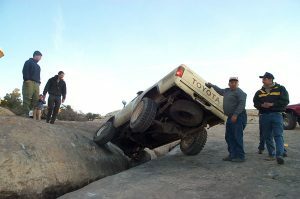 Everyday there were masses of people at the more famous obstacles like the Dump Bump and Potato Salad Hill. 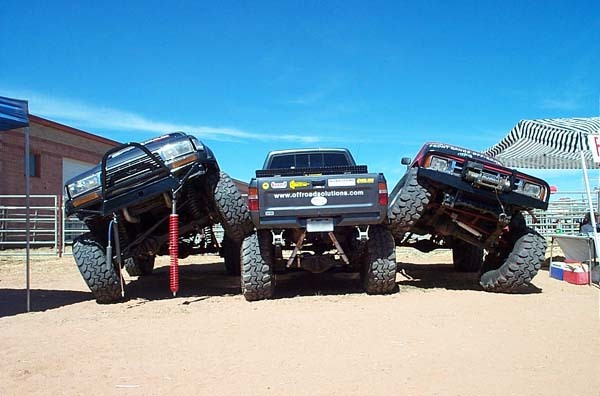 The vendor showcase had many cool rigs and even cooler products. Thanks to all our customers who stopped by to say hi. 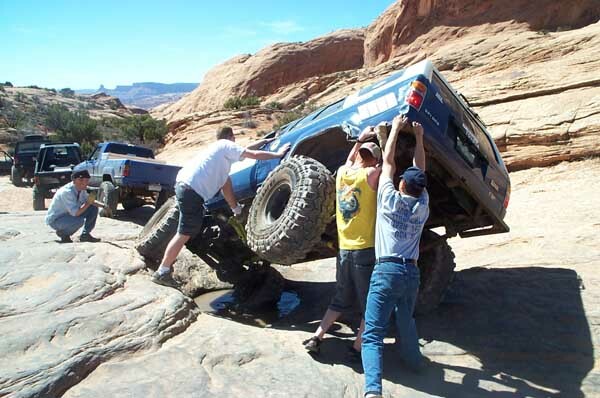 If you were looking for us on Thursday, we had some unexpected delays on the trip out so we weren’t able to be there. 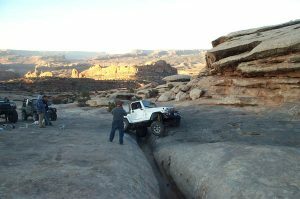 In addition to being at the vendor showcase we ran Moab Rim, Cliffhanger, Poison Spider, Golden Spike, and Gold Bar Rim. Check out the pictures below. 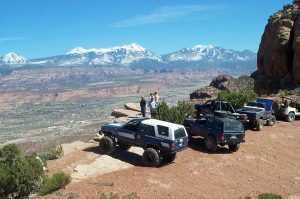 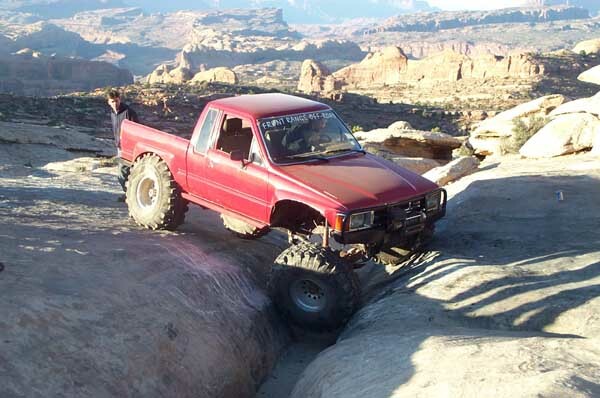 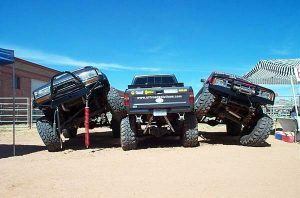 For more information about Red Rocks 4-Wheelers, who put on the event, call 435-259-7625 or write PO Box 1471, Moab, UT 84532.